If you’ve found it nearly impossible to get off antidepressants, you aren’t alone. @NightShiftMD assesses the risk and what to do about it. Canadians are among the world's biggest consumers of antidepressants. A report by the Organization for Economic Cooperation and Development (OECD) put Canada in third place on a list of 23 industrialized nations. A disturbing number of users may be in it for the long haul. Last week, the New York Times published some startling numbers of long-term use in the U.S. The Times analyzed data beginning in 1999 as part of the National Health and Nutrition Examination Survey. From 2013 to 2014, 34.4 million adults in the U.S. were taking antidepressants.That figure is up an astonishing 250 per cent from the survey done in 1999 to 2000. That's the total number of Americans taking antidepressants. When the Times zeroed in on long-term users, it discovered that 15.5 million Americans had been taking antidepressants for at least five years. That's double the number of long-term users since 2010 and triple the number since 2000. The U.S. is not an outlier in such trends. In Germany, antidepressant use rose 46 per cent in just four years. In Spain and Portugal, it went up 20 per cent. Iceland has one of the highest rates of use in the world. The National Health Service has also reported a dramatic increase in the number of long-term users. The OECD found that nine per cent of Canadians take antidepressants. That puts Canada on a par with Denmark and Sweden, and somewhat below the 11% consumption rate in the U.S. The trend in Canada may not be inexorably upward. A 2014 study published in the Canadian Journal of Psychiatry found that the increase in antidepressant use in Canada appeared to be levelling off. It's hard to tease out how many Canadians are long-term consumers, but the data from other countries provides some clues. A 2015 study in Australia found that the patients under the age of 24 took antidepressants on average for two years, those age 35 to 44 for three years, and those ages 55 to 64 an average of five years. It would not surprise me if Canada had similar patterns of use. There are several reasons why we've seen a huge an increase in the number of long-term users of antidepressants. The most obvious is that a staggering number people take these medications. As that number has grown, so has the number of people who take antidepressants for many years. There are many reasons for increased use of these drugs. In the past, doctors prescribed them mostly for severe depression. Then, they began to offer them to patients with mild depression and other conditions like anxiety, obsessive compulsive disorder and PTSD. More recently, doctors have prescribed antidepressants for grief over the loss of a loved one. Another reason for long-term use is the lack of alternative forms of treatment. If a patient asked me to refer them to a psychotherapist today, I would have difficulty finding one who has room for new patients. Appropriate or not, the quickest treatment is antidepressants. Then, there's the usual course of therapy for depression. We prescribe antibiotics for an evidence-based number of days or weeks, depending on the infection. The only indication for ongoing antibiotic therapy is in the patient with a chronic infection or frequent recurrences. When it comes to antidepressants, there are suggested guidelines for the duration of therapy. However, there is no obvious kill switch. The biggest reason why many long-term users can't quit is because they get intolerable withdrawal symptoms. These include dizziness, balance problems, fatigue, cognitive deficits, insomnia, anxiety, aches and pains and nausea. Some people get electric shock sensations in the head that have been dubbed brain zaps. A recent study mentioned in the Times found that half of long-term users said the withdrawal symptoms were severe — so severe nearly half said they could not bear quitting. For a problem that has been talked about for more than 20 years, the response of pharmaceutical companies has been tepid. The makers of antidepressants acknowledge that some patients get severe symptoms which they have dubbed the discontinuation syndrome. They say the risk is dependent on the individual patient. There was a flurry of scientific interest around two decades ago, but little research until recently. Dr. Derelie Mangin of McMaster University did a study in New Zealand that has not yet been published in which she recruited patients who were interested in being weaned off Fluoxetine, also known as Prozac. She told the Times that some patients found withdrawal symptoms so intolerable they could not bear to quit. The full results are pending. Only now are researchers beginning to gather basic data on the number of antidepressant users who have immense difficulty quitting therapy. There are many questions that must be answered. Why do some people get withdrawal symptoms and others do not? Are there risk factors that predict difficulty tapering the treatment? What is the most effective and least disruptive way of stopping antidepressants? Are there ways of minimizing the discomfort of withdrawal symptoms? It's a sobering thought that doctors largely have no clue on how to answer these questions. 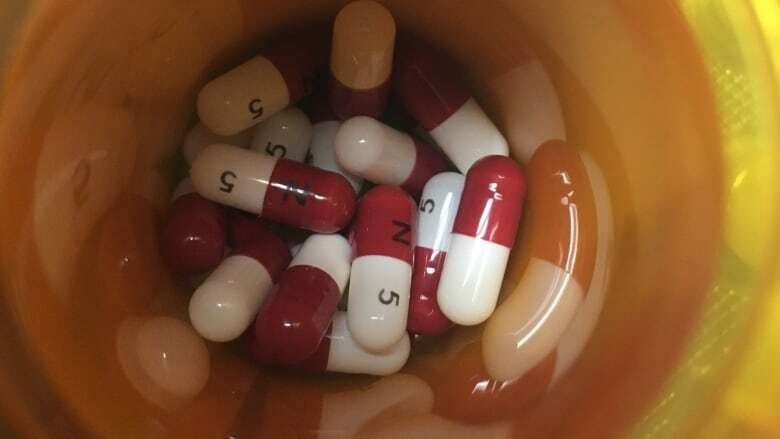 For some patients, being on antidepressants indefinitely is the best way for them to manage chronic or recurrent depression, anxiety and other conditions. Patients who continue to take antidepressants at the current dose are unlikely to face symptoms of discontinuation. Patients who are interested in discontinuing their treatment should speak to their doctor. For now, the best advice for patients is that they should taper off antidepressants extremely slowly. Many doctors make the mistake of weaning patients too quickly, which increases the likelihood of severe withdrawal symptoms. Slow tapering (also known as "micro tapering") means reducing the dose by a tiny amount each week or two. When the dosage is reduced, expect withdrawal symptoms to increase and then slowly decrease as the body gets used to the new dose. Patients are sharing the tricks they've discovered to make the withdrawal period more tolerable. A British psychiatrist named Tom Stockmann told the Times he opened up capsules of antidepressant and removed a few beads of drug per day. It took him a year to get off antidepressants that he'd been taking for just 18 months. Communities of concerned patients are forming on line to support one another and to share tips. The Withdrawal Project is a web site created by Laura Delano to provide tips on what symptoms to look for and a guide on how to taper off slowly and effectively. If you're having trouble quitting, you're not alone. And if you're a long-term user of antidepressants, there's a good chance you're in it for the long haul one way or another. For these reasons, I've fine-tuned my medical advice to patients. Antidepressants provide effective relief to the right patient for the right reasons. Still, if your doctor suggests that you start taking one, it's prudent to ask lots of questions about the medication's exit strategy. It might save you a whole lot of trouble a year or two down the road. Editor's note, 18 April 2018: The title of this blog has been changed, and portions of the text have been revised.